Isla San Pedro is a private island located off the southeastern shore of Chiloé Island within the commune of Quellón, considered an end-station of the Panamerican Highway. Chiloé Island is the largest island in the Chiloé Archipelago, the second largest island in Chile, after the Isla Grande de Tierra del Fuego, and the fifth largest in South America. The Chiloé Archipelago is separated from the western shores of Chile by the Gulf of Ancud (Spanish: Golfo de Ancud) and the Gulf of Corcovado (Spanish: Golfo de Corcovado). 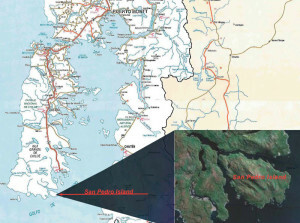 While many nearby areas are developed, Isla San Pedro remains primarily in its natural state with only a few cabins, a lodge, hiking trails, and 33.46 kilometers (20.79 miles) of road encircling the perimeter providing access to numerous sandy beaches. There are two lakes located on the island and cliffs along the coast may rise more than 500 meters (1640 feet) above sea level. Isla San Pedro is accessed by boat via nearby Chiloé Island. 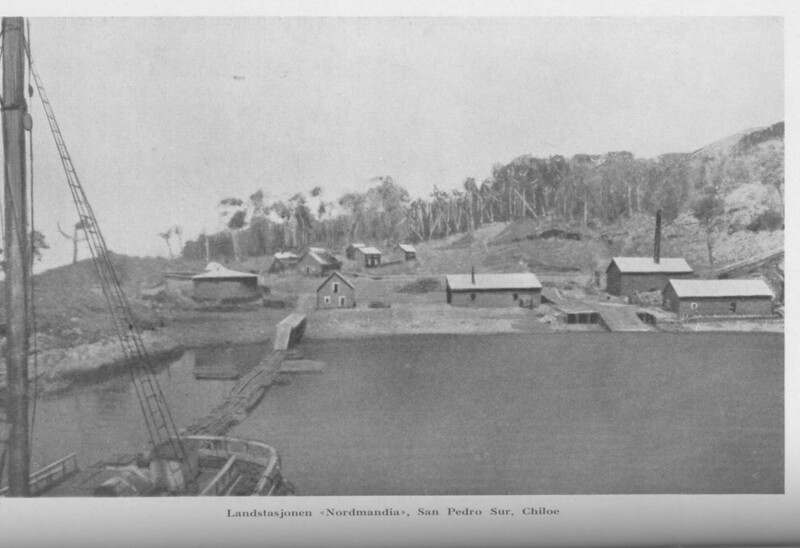 The Chiloé Archipelago was first inhabited by two main peoples: the Chonos and the tribe of the “Huilliches.” The Chonos were from the South and were a tough, nomadic people that spoke their own tongue. They were known to have great sailing skills and were fishermen. The Huilliches were pacific people and known for their farming skills. They were said to have resembled the Mapuche, an indeginous people to Chile, and the two would form alliances. A little known whaling history is associated with Chiloé, and more particularly with Isla San Pedro. 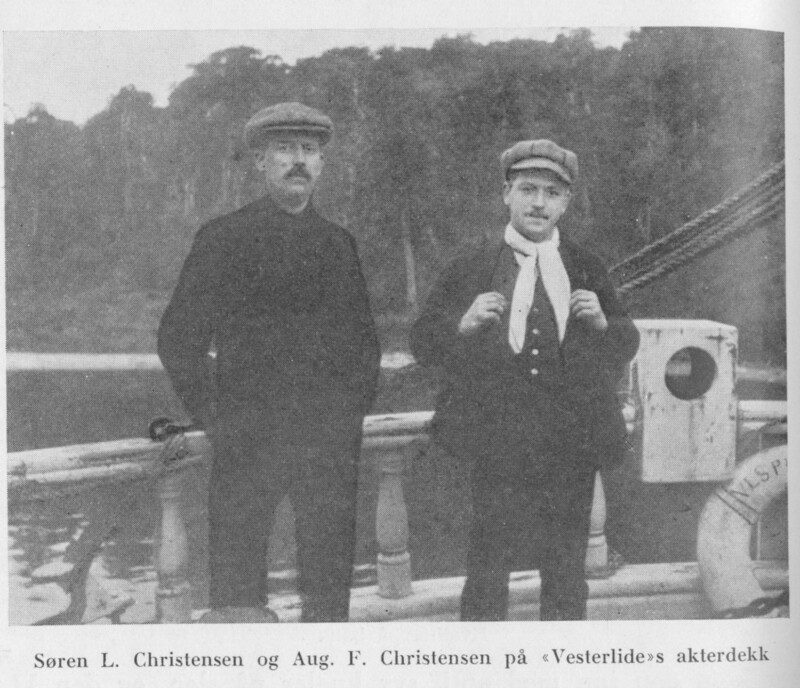 Christen Christensen (shipowner) was one of the most important Norwegian shipping and whaling businessmen at the start of the 20th Century and was very interested in developing whaling activities from land stations along the coast of South America. 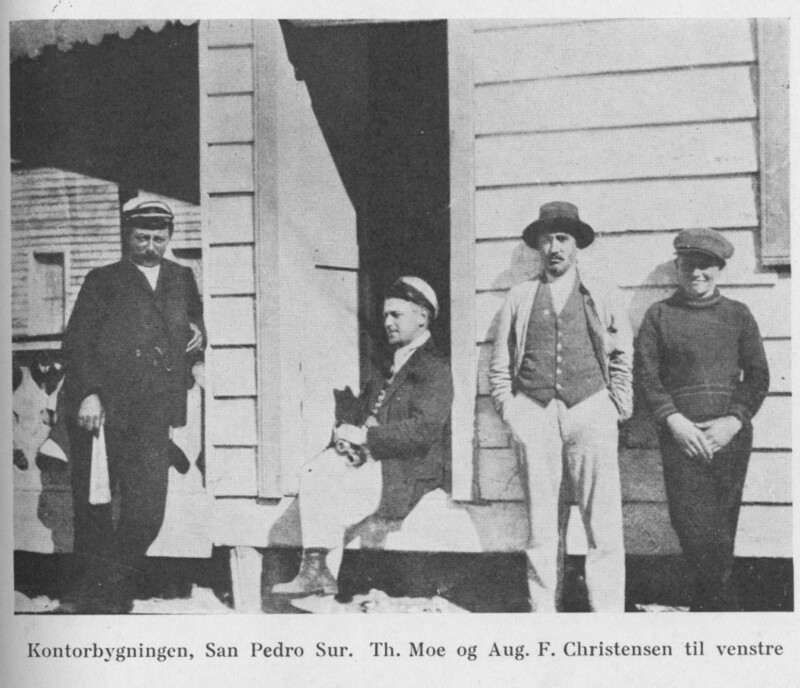 In 1909, after some investigation by his son August Christensen and his crew, a Norwegian company known in the native language as ‘Sociedad Ballenera del Pacifico’ (Pacific Whaling Company) and a port were established on San Pedro with catcher boats and a land station known as ‘A/S Pacific’. August managed the ‘A/S Pacific’ from 1909 until 1913, when whaling operations on Isla San Pedro came to a close. 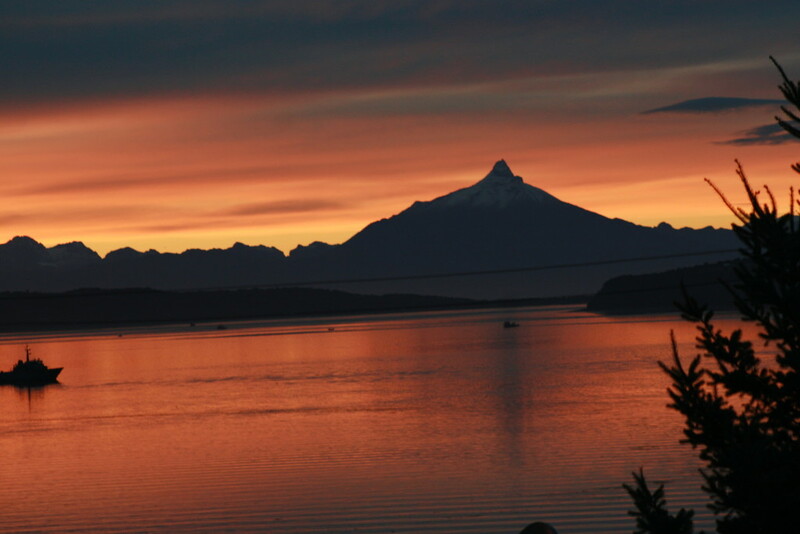 Chiloé has a humid and cool temperate climate. Temperatures are generally relatively moderate, not extremely hot or cold. The changes between summer and winter are also usually moderate. The western side of the island is rainy and wild. The eastern shore is warmer and drier due to it being on the rain shadow of the interior mountains. 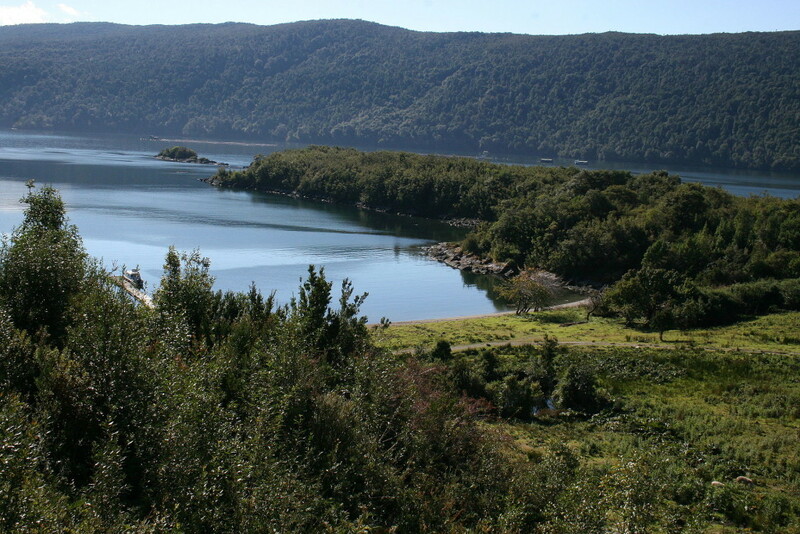 The commune of Quellón has an oceanic climate. Summers are mild and precipitation is lower. February is the driest month. Winters are cool and wet, but mild. Few days are dry in winter because there are 22–24 days with measurable precipitation from June to August. However, snowfall is rare, with most years having no record of snowfall. There are numerous species of birds that call this region and the nearby mountains home. 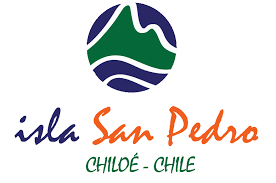 Isla San Pedro is home to Chucao tapaculos (Scelorchilus rubecula), black-necked swans (Cygnus melancoryphus), slender-billed parakeets (Enicognathus leptorhynchus), pelicans, cormorants (Phalacrocoracidae), and Chilean pigeons (Patagioenas araucana). In addition, the southern pudú, the second smallest deer in the world, and can be found on the island. Several species of whales have been sighted around the Chiloé Archipelago, including blue whales and southern right whales, which are critically endangered. In addition, sea lions, sea otters, penguins, and dolphin can be seen from Isla San Pedro. Charles Darwin visited Isla San Pedro in 1834, and later wrote of his experience in The Voyage of the Beagle. It was here on the island that Darwin first collected the now critically endangered Darwin’s fox (Lycalopex fulvipes). This was the first specimen ever collected and was donated to the Zoological Society of London. Darwin also wrote of his failed attempts to climb the summit of San Pedro due to an impenetrable forest. 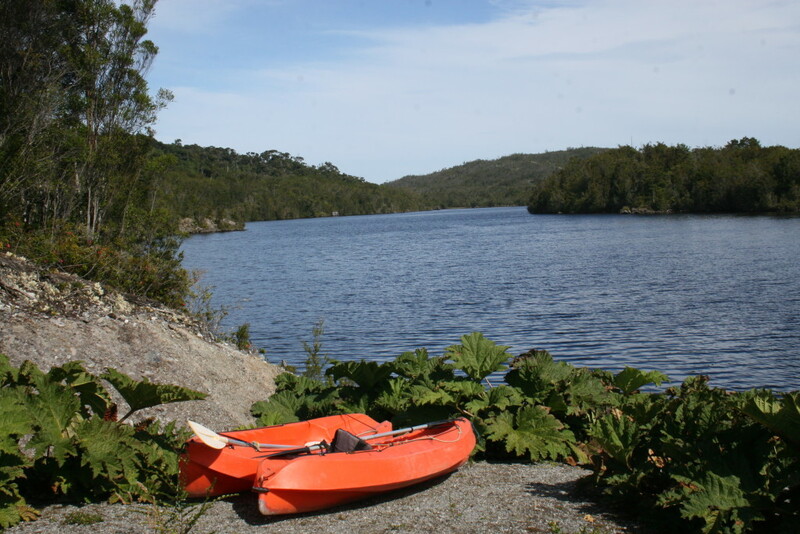 The Chiloé Archipelago’s original vegetation is Valdivian temperate rain forest, which is a forest with a dense understory and a large variety of mosses and ferns. Isla San Pedro is comprised of approximately 16,000 acres filled with dense hardwood trees. 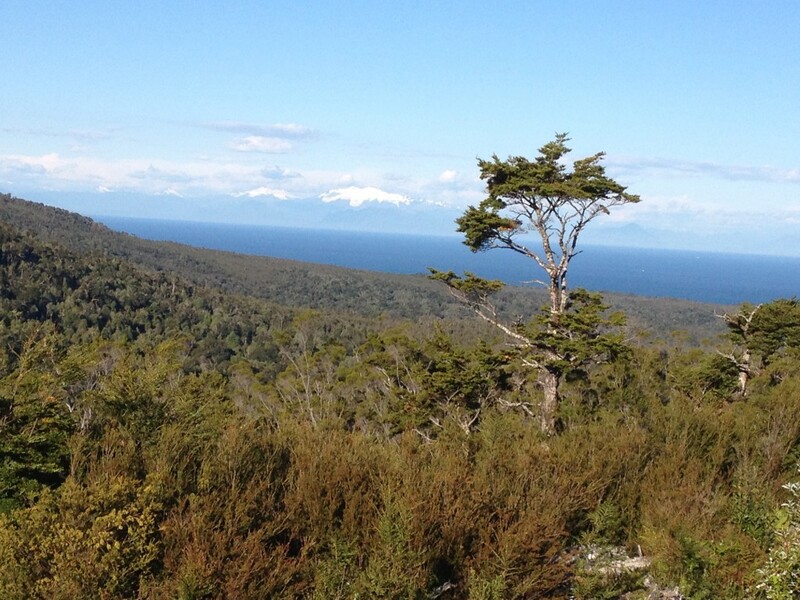 Types of trees on the island include the Luma apiculata, the Drimys winteri (winter’s bark or canelo – Mapuche sacred tree), the Nothofagus dombeyi (Dombey’s beech, coigue, coihue, or coigüe (from ”koywe” in [[Mapuche language)), and the Fitzroya cupressoides. In addition, the island boasts numerous fruit trees, including apple trees and cherry trees, and Chilean rhubarb (Gunnera tinctoria), known as nalca. Chicha, a local alcoholic beverage, was made from these apples by the original inhabitants through a process called maja. The national flower of Chile, the copihue (Lapageria rosea), can be found on Isla San Pedro. Purple thistles are also common on the island.